Part Number 9708471 (AP3790523) replaces 4162152, 3183588, 4176069, 3183589, 9707671, 1066316, AH974265, EA974265, PS974265. Set includes K45B Flat Beater , K45WW Wire Whip, K45DH Dough Hook AND Metro Design Beater Blade replacement hooks. For use with KitchenAid KSM15, KSM110, KSM103, KSM75, KN15, K45, and KSM90 Stand Mixers. New Metro Design's beater blade is an electric mixer attachment which thoroughly mixes batter, eliminating the need to stop and scrape the bowl manually. 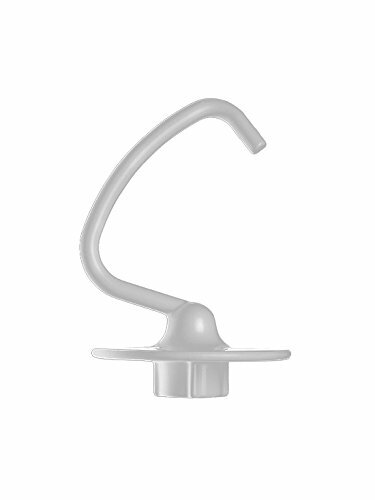 Model ka-thr fits all kitchenaid tilt head mixers regardless of the kitchenaid model numbers. Beater blades are engineered for use with top brand electric stand mixers, including most models offered by kitchenaid, cuisinart, delonghi and viking. A beater blade attachment beats, scrapes, folds and incorporates ingredients thoroughly for fool-proof baking. The new beater blade+ ingeniously improves on the functionality of standard v-shaped beaters offered with high-end stand mixers by crafting a high-quality, enhanced blade that includes a flexible rubber wing down the entire length of both sides of the blade. 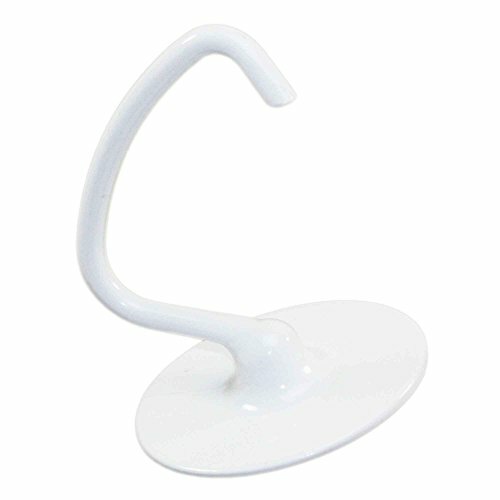 Dough hook compatible with KitchenAid mixers. KSM150, KSM90 and many more. This is not a Whirlpool® OEM product. The Whirlpool® brand names and logos are the registered trademarks of their respective owners. Any use of the Whirlpool® brand name or model designation for this product is made solely for purposes of demonstrating compatibility. "The trademarks, logos, and service marks (collectively the "Trademarks") displayed herein Supplying Demand® are registered and unregistered trademarks of Supplying Demand®, its affiliates, and others. Nothing contained herein should be construed as granting, by implication, estoppel, or otherwise, any license or right to use any trademark displayed herein without the written permission of Supplying Demand or such third party that may own the trademark displayed herein. Your misuse of the trademarks displayed herein, or any other content on this website, except as provided herein, is strictly prohibited." 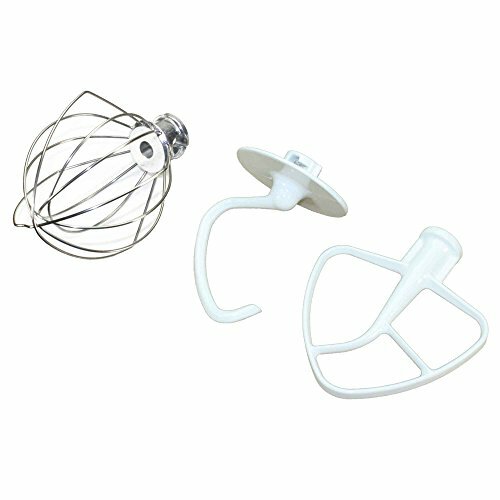 Mixer set compatible with KitchenAid mixers. KSM150 and many more. Includes K45WW (wire whip), K45DH (dough hook), & K45B (flat beater). Get the entire set to update your mixer with brand new attachments. This is not a Whirlpool® OEM product. The Whirlpool® brand names and logos are the registered trademarks of their respective owners. 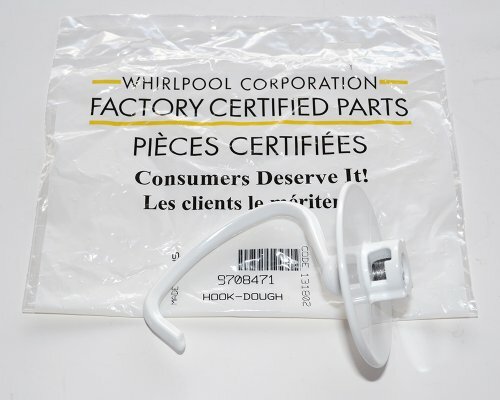 Any use of the Whirlpool® brand name or model designation for this product is made solely for purposes of demonstrating compatibility. "The trademarks, logos, and service marks (collectively the "Trademarks") displayed herein Supplying Demand® are registered and unregistered trademarks of Supplying Demand®, its affiliates, and others. Nothing contained herein should be construed as granting, by implication, estoppel, or otherwise, any license or right to use any trademark displayed herein without the written permission of Supplying Demand or such third party that may own the trademark displayed herein. Your misuse of the trademarks displayed herein, or any other content on this website, except as provided herein, is strictly prohibited." Use your mixer's dough hook for easy, mess-free kneading! 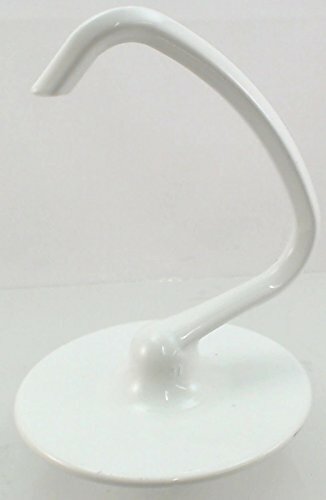 Compare prices on Kitchenaid K45dh Dough Hook at ShopPlanetUp.com – use promo codes and coupons for best offers and deals. We work hard to get you amazing deals and collect all available offers online and represent it in one place for the customers. Now our visitors can leverage benefits of big brands and heavy discounts available for that day and for famous brands.